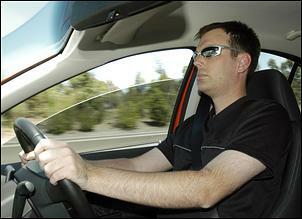 We're tootling along at 100 km/h on the freeway behind the wheel of an APS Phase 3 kitted XR6 Turbo. After a cursory check for police, we nail the throttle to the floor. Whoo-ah! The big Ford's nose lifts heavenwards and the speedo needle swings to 200 km/h in a blink. S-h-i-i-t! This bugger defies all laws of physics - cars aren't supposed to accelerate like that! 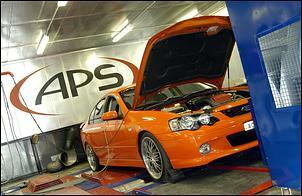 To say we're blown away is an understatement; the APS Phase 3 kit sets new benchmarks for modified cars. We kid you not. So what is this Phase 3 kit, you ask? Well, at the time of writing, the Phase 3 kit is yet to be released and its state of tune (ie boost, ignition timing, etc) is yet to be finalised. This story is essentially a prototype preview. On the other hand, the hardware of the Phase 3 kit has been given the final go-ahead. The kit comprises a replacement exhaust, high-flow cold air intake, front-mount intercooler, high capacity injectors and fuel pump, along with a UniChip. The APS replacement exhaust is a beauty. 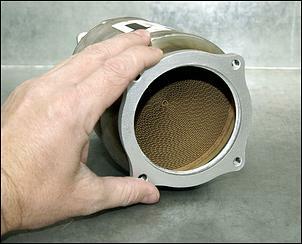 The system starts at 3½-inch diameter from the back of the turbo and divides into twin 2½-inch pipes about half way along its length. 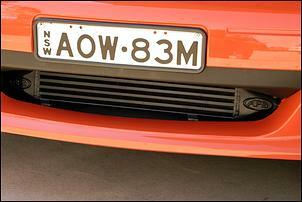 A German-sourced 3½-inch cat converter, a straight-through centre muffler and a straight-through rear muffler keep tailpipe noise well below the 90dB legal limit. On the road, the system gives a sophisticated growl but there is a slight resonance at certain combinations of light loads and rpm. But, really, we doubt that many enthusiasts would care (or even notice). The system is constructed from 304-grade stainless steel and Peter Luxon from APS says that even the flanges are cast in stainless to further protect against corrosion. 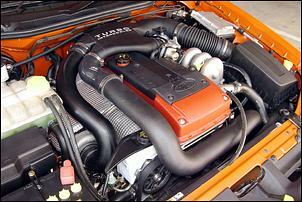 The APS high-flow cold air intake improves performance while maintaining the factory under-bonnet appearance. Peter explains the factory airbox was tested with a manometer and it was decided that only the feed duct into the airbox needed improvement. 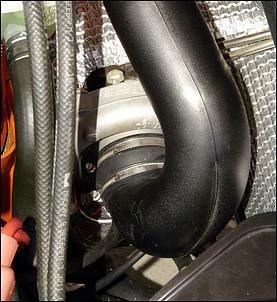 The new duct is cast in aluminium and features very smooth internals to ensure maximum flow. The only questionable aspect of this mod is induction noise - there's quite a loud 'turkey gobble' noise from the turbo system when you back off the throttle sharply after driving on boost. Again, though, many enthusiasts won't mind. 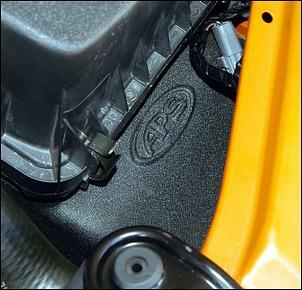 Like the air intake, the APS DR-series intercooler installation looks factory and is barely noticeable when you pop the bonnet. An imported bar-and-plate core was chosen after extensive back-to-back testing and we're told it's as large as you can fit in the Falcon nosecone without cutting metal. The DR-series 'cooler measures no less than 4½ times the volume of the factory intercooler! Interestingly, the Phase 3 kit also includes a replacement wastegate actuator assembly and a high-flow turbocharger swing valve. The replacement actuator helps maintain accurate boost control while the new swing valve allows a large volume of exhaust gas to flow through the wastegate bypass. This helps protect against overboosting and minimises backpressure. 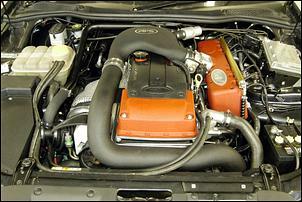 The standard XR6 Turbo fuel system does not offer much scope for generating extra power. 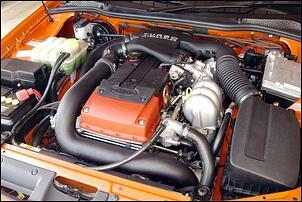 APS addresses this on the Phase 3 kit by fitting an upgraded fuel pump and a replacement set of six injectors. And these aren't any ol' bigger injectors - APS shopped around for the units that would provide the appropriate fuel atomisation and spray pattern. One of the most impressive aspects of the Phase 3 kit is the level of performance achieved using an interceptor module. The use of a UniChip in a 300+ kilowatts at the wheels Falcon proves that interceptors are suitable for much more than slight power-ups. On the XR6, the real-time programmable UniChip provides control over boost pressure, ignition timing and fuel mixtures. Note that adding the UniChip means the factory electronic throttle control and traction control system (on XR6 Turbo sedans) remain fully operational. Now let's get into the all-important numbers - power, quarter mile and price. Immediately before our test drive, we watched the Phase 3 kitted XR6T sedan (which is owned by Sydney's C&V Performance) perform three consecutive power runs on APS's Dyno Dynamics chassis dyno. The results are mighty impressive. This graph (conducted in Shoot-out Mode 6 and with the auto transmission in 3rd gear) shows the development-spec Phase 3 XR6T pumping out 327kW at the wheels without too mush stress. 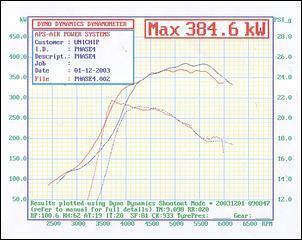 The lower plots reveal that boost peaks at 19.5 psi in the mid-range and tapers to 16.5 psi through the top-end. To put this 327kW ATW into context, Peter says a stock-standard XR6T generates anywhere between 175 and 193kW on their chassis dyno - in other words you're talking almost double the power! And despite running up to 19.5 psi of boost, there was no detonation present with 98 RON Shell Optimax in the tank. 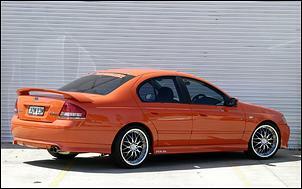 A few days after our test-drive, the Phase 3 sedan made at appearance at the Calder Park drags. Unfortunately, problems with the (already tricked) transmission prevented the car running to its full potential - but there was another Phase 3 development ute that we can take as a yardstick. With slightly less power than the sedan but with treaded slicks under the rear, the ute managed a best time of 11.66 seconds. Not hanging around! Is this the perfect go-fast streeter? Well, yes - what else could you want?! 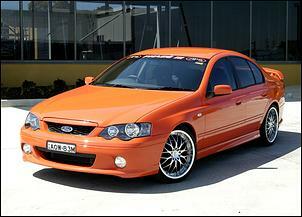 The Ford XR6 Turbo's driveline is widely recognised as a weak link. Peter tells us APS is currently testing a number of different clutches, torque converters, auto trans modifications and various other driveline components that should be on the market soon. Stay tuned. APS is also developing a large capacity coolant radiator and full-flow oil cooler suitable for extreme applications. Pricing for the Phase 3 kit is yet to be finalised but Peter was willing to offer us a ballpark figure. He expects that the addition of the front-mount intercooler, larger injectors, upgrade fuel pump and actuator and machining will add approximately $3100 to the $5650 cost of the less potent Phase 2 kit. (Stay tuned for our up-coming review on the Phase 2 upgrade.) That comes to a total of $8750, which - no matter how you cut it - is simply awesome value for money. It is expected that the Phase 3 kit will be released in early 2004 once it is officially emissions and noise level approved. Once it hits the market green light, this upgrade will change the face of Australian street performance forever! As if the Phase 3 kit isn't impressive enough, APS is also developing the 'big gun' Phase 4 kit. This bar-nothing enhancement will include a replacement intake plenum with six extra injectors, possibly a modified or larger turbocharger and more. 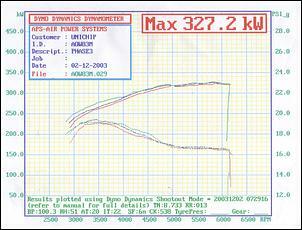 Development is still very much continuing but things certainly look on track... just take a look at this dyno graph! With up to around 22 psi boost you're talking just under 400kW at the rear wheels! APS expects to release the mighty Phase 4 kit in mid-to-late 2004.